The Human Rights Institute of South Africa is embarking on the production of a newsletter to be published on a monthly basis beginning from 1 July 2012. This project has the target of exposing different human rights related issues within Africa in general and South Africa in particular. The major anchorage of this newsletter lies within the International and African Systems of Human Rights as well as the drive towards a sufficient and adequate advocacy system within civil society and NGOs to enable the cultivation and promotion of a human rights culture within South Africa and in Africa as a whole. The publication will focus on political, social, economic and health issues as they impinge on the international, regional, sub-regional and domestic human rights situations – a special focus being grassroots and community human rights issues. 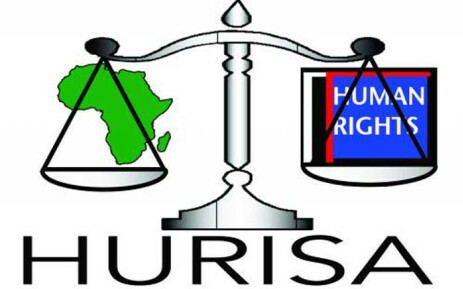 HURISA provides young people with opportunities to grow in an NGO working environment or as apprentices to pursue a human rights career in the near future. In this vein, we invite people who wish to pursue research studies and creative/analytical writing skills, librarian/taking social and legal complaints and attending to referrals, communication and media relations to apply in this year’s programme. It has been 36 years since one of the bravest acts of defiance against the inhumane and degrading policies of Apartheid South Africa on the Black People of South Africa. Today, South Africa is a free and equal society according to the precepts of the South African Constitution, but the events of 16 June 1976 can never be forgotten in a hurry by South Africa and within its communities. This is because the Soweto Uprising (as it is also referred to) is reminiscent of an era of the dark period of apartheid when human rights were flagrantly violated.